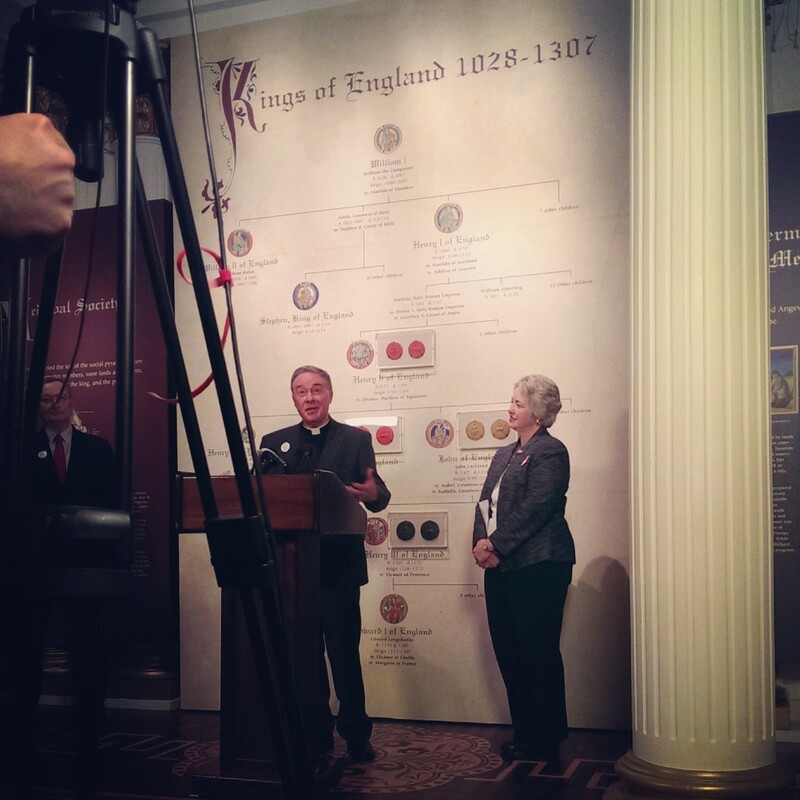 It’s finally here, folks – our Magna Carta exhibit is open to the public! For the first time ever, this document has traveled from its home in Hereford Cathedral to come to Houston. And it seems that many children, in fact, will get to see the document. According to Joel A. Bartsch, President and CEO of HMNS, over 4,000 students already have tickets to come see Magna Carta on field trips. 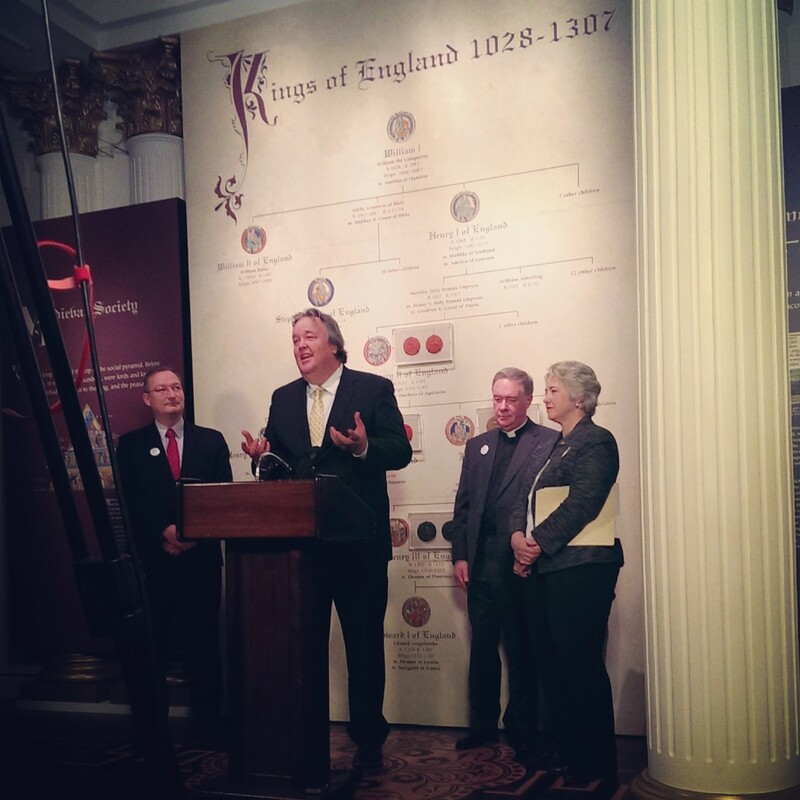 We were also fortunate to have several descendants of the barons (the 25 barons who forced King John to accept Magna Carta) at the press conference. These descendents are a few of over 100 living in the Houston area. Margaret Gene Harris, descended from 14 barons, said, “To bring [Magna Carta] to the Houston area … that is magnificent.” On learning about her heritage and connection with the document, she remarked that when she was younger, “I didn’t care a whit and feather about genealogy,” but now has deep-held respect for her ancestors. “You find out they are human beings,” which gives Gene Harris a new perspective on the document. So there you have it! Magna Carta at HMNS is a once-in-a-lifetime chance to see one of the most influential documents in history. So don’t wait, join the British sensation today!